Here are many Hit TV stars who failed in Bollywood. These actors were loved by the television audience but they failed to succeed in Bollywood. Let’s have a look at some of them. Karan Singh Grover debuted on television with Balaji Telefilms series ‘Kitnii Mast Hai Zindagi’ but achieved fame with Kasautii Zindagii Ki. He became the most popular face on TV with his role of Dr Armaan Malik in the serial, ‘Dill Mill Gayye’. Then he went to try his luck in Bollywood. Even after working in 6 films, Karan has not been able to replicate his television success on the big screen. He is famous for playing the role of Neev in “Kayamath” on Star Plus. Jay made his debut in Bollywood with Platform No.6 in 2013 and then Hate Story 2 and Ek Paheli Leela. None of his films worked on the box office. Jay has hosted many shows on the television and was also a contestant in Khatron Ke Khiladi, season 7. Gurmeet rose to fame on Indian television while playing the role of Lord Ram in Ramayan (2008). After that, he was part of many shows like Pati Patni Aur Woh, Jhalak Dikhla Jaa, and Nach Baliye. He was also the lead actor in Geet – Hui Sabse Parayi. Gurmeet starred in the movie Khamoshiyan in 2015 but it did not succeed at the box office. He made his debut on television with tele-serial Kahiin To Hoga which was a huge success. He did a few other shows on television. Rajeev was the main lead in tv serial Left Right Left, which he left to pursue a career in Bollywood. His first movie, Aamir, came out in 2008. Though his acting was applauded the movie did just about average at the box office. After that, he also acted in some other movies like Table no. 21, Shaitan, Fever, but none of them were successful. One of the most popular and loved host Manish Paul has hosted many Bollywood award shows as also reality shows on the Indian television. He debuted in Bollywood with his film Mickey Virus but the movie didn’t work really well at the box office. He also did some other movies like Tere Bin Laden 2, Ranbanka, Tees Maar Khan etc. but none of them worked for his career in Bollywood. Rannvijay was the first ever to win Roadies, a reality show on MTV. He is the role model for all Roadie aspirants and favorites among all the girls too. He has played side characters in a number of movies but none of them could give a boost to his Bollywood career. Rannvijay is the host of MTV reality shows Roadies and Splitsvilla. Anita is one of the most popular faces on Indian TV. She has appeared on many shows like Kkavyanjali, Ye Hai Mohabbatein. She starred opposite Tusshar Kapoor as well in Balaji Telefilm’s produced movie Kucch Toh Hai and some other movies but none of her Bollywood films worked. Anita is currently working in Naagin and Ye Hai Mohabbatein. She has also worked in some comedy shows on TV. Karan Kundra debuted on TV with the serial, ‘Kitani Mohabbat Hai’. His sizzling chemistry with co-star Kritika Kamra was very well appreciated by the audience. 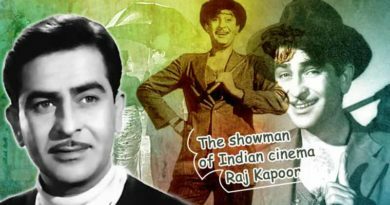 He also tried his luck in Bollywood and acted in a couple of films like 1921, Horror story but none of them worked. He also hosts a Channel V’s show Gumrah. Hit TV stars who failed in Bollywood, do Subscribe to our newsletter and follow us on Facebook, Twitter and Instagram.